Peter Nagy inducted to the ACBL Hall of fame at the NABC in Toronto in July 2017. 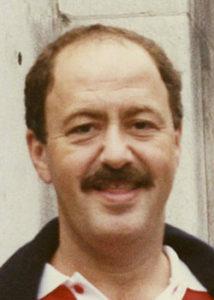 Peter Nagy, who died in 2003 at age 60, was chosen for the von Zedtwitz Award, which honors individuals who were top players in their time and are now either deceased or inactive. Born in Hungary, he arrived in Montreal in 1957, escaping from his native country during a tumultuous time. Not speaking French nor English, he learned fast and rose to the top of his class. Peter Nagy earned 4 NABC titles between 1978 and 1995, including the Vanderbilt in 1993, and the CNTC in 1980 and 1981. He also served District 1 (East of Canada) as a Board of Governors representative from 1979 to 1982. In November 1956, Soviet tanks and the army had killed thousands of students and citizens in order to restore Soviet power in Hungary following an unprecedented revolution in the Communist Bloc. This event forced about 200 000 people to flee the country of their birth. Hungary’s loss became a great gain for Canada, the US and in fact for the world. One of these refugees was Peter Nagy, who at the age of 15 arrived to Montreal with his uncle Thomas Gural. He was the “kid” among us, as the rest of us were all university students. His entertainment in those early years was watching our beloved Canadians play hockey every Saturday night on Tom’s second hand black and white T.V. By the time he graduated from high school, this immigrant kid, who could not speak a word of English or French in 1957, became valedictorian of his graduating class and had finished with the highest marks in the entire province of Quebec, thereby gaining a 4-year scholarship to Princeton University. Independent for the first time, he embraced student life, especially extracurricular activities. Specifically, he started to play bridge and this game took over his interest; so much so, that at the end of the year he was asked to depart from the University. To his credit, years later he returned to Princeton and successfully graduated but bridge became his passion. 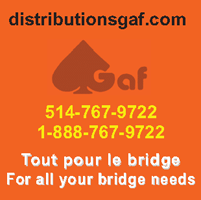 Back in Montreal, he was mentored by our “grand old man of bridge”, Sam Gold and soon he formed a partnership with another promising young Montrealer, Eric Kokish, who later became the most successful bridge coach in the world. The Kokish-Nagy partnership lasted several years, culminating in a silver medal at the 1978 World Pairs Championship in New Orleans. My wife and I were there to cheer for them and I take full responsibility for my inadequate kibitzing powers that prevented them from capturing gold. In 1977 Kokish-Nagy won the I.B.P.A. best bid hand and in 1980 the Bols Brilliancy Prize. Pete lived in Montreal where I tried to convince him to continue his studies and become a chartered accountant. Have I already mentioned that Peter was brilliant? After a couple of years he left accounting to become a commodities trader, where he had become a millionaire. The United States was very good to him; he met his wife Donna and started a family, had a great son David, who is now an adjunct professor. Peter won numerous North American Championship titles playing with different partners, ironically he won another silver medal at the 1990 World Championships, representing the U.S. this time. He was always a very friendly, kind person. His analytical skills and knowledge of the game were phenomenal. Never-the-less at one point when we were discussing “Adventures in Card Play” a bridge book by Geza Ottlik, Peter remarked that even he had difficulties to follow it. “Finally — I said tongue-in-cheek — we are in the same class”. His bridge career is the envy of most players, winning numerous Canadian and north American Championships, beside 2 silver and 1 bronze medal at the world Championships. He has lived his last few years in Las Vegas, doing what he loved most: playing cards. Peter will be inducted to the ACBL Hall of Fame on July 20, 2017 at the Toronto NABC. Rest in peace Peter. Montreal players will remain proud of you and remember your legacy.